Born in Inverness, Florida, Harold Whaley Jr. named after his father was raised in Zuber, Florida just outside of Ocala, Florida. Ocala is Home to the world’s greatest Horse Farms. Yep, thats where Harold sowed his young oats. Living on a farm, raising cows, pigs, chickens and various vegetables, fruits, & grains for public consumption. His great-father was a lifetime farmer, and he was a part of it. Music was a major piece of Harold’s life, he would find himself practicing his sunday morning gospel show on the back of the tractor while plowing fresh seeds for the watermelon fields at 11 years old. While attending North Marion Middle school, He joined band, because they didn’t have a chorus. He chose the Trombone, and quickly, became the lead trombone chair. High School for Outstanding Jazz Band (2 years), and “The John Phillip Sousa Award.” Turning down scholarship offers from University of Florida and FAMU, he chose to serve his country. Joining the US Navy in ’82, he chose the job of a radar operator or in Military terms Operation Specialist (OS). In 1985 after a rare blessing, came the fortune of working with and around some of the legends of the entertainment industry to include Jean Carne, Patti Labelle, Al Green, GQ, Heat wave, Denise Williams, Ike Turner, Kush Griffith, Bobby Byrd, and many more. While serving in the military as a Operation Specialist (Radar Operator) with a top secret clearance, he was introduced to the internet before the internet became the internet. In 1986 he found him working with communications from ship to ship and ship to shore, where he would begin living the new world of the internet. Harold started making moves to be prepared for this new medium, that would later become an important part of his life when he departed the military after his 11 years tour of duty. Living in San Diego afforded Harold the chance to see the proliferation of North San Diego with newly founded Internet companies, who benefited from the Dot-com fortune in the early 90’s. In 1992 Harold retired early from the Military to pursue his passion of music. He was soon signed as a producer/artist with San Diego independent record label Deemo Records helmed by marketing guru Arthur Mitchell. In 1999, he was embraced by the city with the awarding of the San Diego Music Award as “Best Urban Artist. Shortly there after, a BET.com online poll nominated Harold as “Breakaway Artist of the Millennium in 2000. Deemo Records would eventually become a subsidiary label under Solar/Hines/Epic out of Los Angeles. The infamous Death Row records crossed his path when Harold joined a team of producers who worked on the Platinum CD “Murder was the Case”. Learning to market and sell his own music and products was a goal that Harold saw as achievable via the Internet and mobile markets. Eventually getting his start in web design by designing award-winning websites for Gospel Superstar CeCe Winans and Motivational Speaker “Les Brown” and the TV show Soul Train. In 2002 Television Show “Tee’d off”, was the first nationally syndicated project he produced. 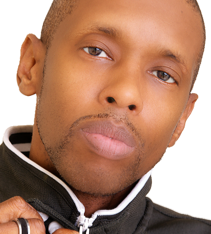 Late 2002 saw him received the position of Program Director for the Urban Network Magazine’s two Online Radio Stations. The first Nationally distributed magazine with an online radio station. The year 2003 brought in the Mobile Marketing Era, where he introduced download cards and Flash drives to the entertainment industry at the Urban Network Summit, by giving away free Flash drives and Download cards to all attendees. In 2008 Harold implanted his creative spirit and vast digital knowledge to the American Basketball Association (ABA) as VP of Special Operations, he directs the league on the ABA's digital footprint. He is also a owner of the West Michigan Lake Hawks, an ABA franchised team based in Muskegon, Michigan. Harold's Extreme networking has blessed him to be a part of many unique ventures including, breaking Grammy award-winning artist, motion picture funding, production, marketing and promotion, oil, gold, international commodities, Bitcoin, virtual worlds, holograms, artificial intelligence and many other projects. Harold is a father of 4 daughters and 1 Son and 5 grand children. Future technology is an ever-important facet, and this modern day digital conceptualist is the poster child for it.